piece of cake right? not so fast. it's actually been pretty tricky! it quickly turned into a table runner. a border, mitered corners, double sided. making your own pattern (with measurments + dimensions) is tough! and it miraculously turned out—phewph! p.s. thank you so much for all of your kind words and prayers. it really means so much and i am grateful for all of you. 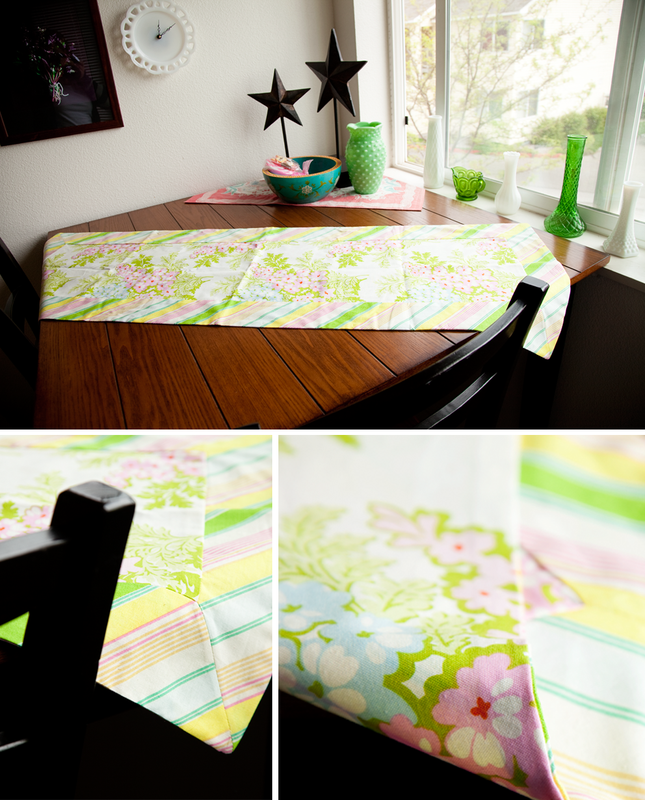 Very nice table runner. Maybe it's good to have some projects to do while Jason is getting better. We're pulling for you guys. Yea for both You & Annette! You are both very talented ladies!!! And your runner is a cutie! By the way.... your finger in the cake post looks JUST like Cassie's! Go look this second!